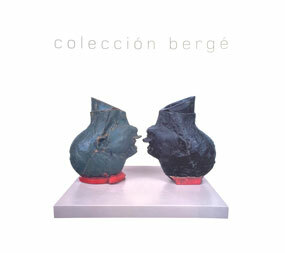 Catalogue raisonné of the Bergé Collection. With an introductory essay by Javier García Montes, this book contains technical specifications, photographs and commentaries on every work in the collection as well as details of the artists’ careers. Format: 26 x 30 cm, 168 pages, 126 ill. 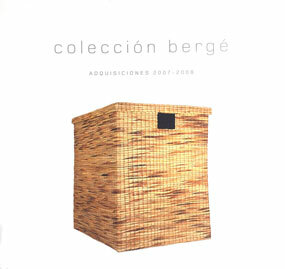 Continuation of the catalogue raisonné, detailing all acquisitions made between 2007 and 2009. With photographs and commentaries on all works. 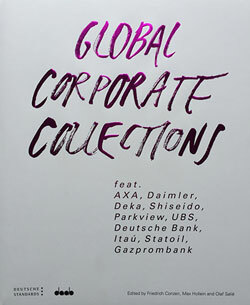 Format: 26 x 30 cm, 48 pages, 35 ill.
A compilation of the 100 finest corporate collections in the world. This book examines the world of corporate collecting from very different perspectives, exploring the unique, incomparable experience offered by works of art in modern-day companies, including the Bergé Collection. 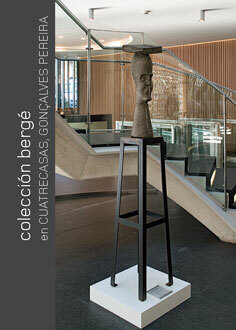 To commemorate the inauguration of the Bergé Collection’s new venue at the Madrid offices of the Cuatrecasas firm, a booklet was published with commentaries on all of the works displayed in the building on Calle Almagro. It contains illustrations of all the pieces and videos and explains their significance in the context of the artists’ careers. Format: 21 x 15 cm, 20 pages, 33 ill. 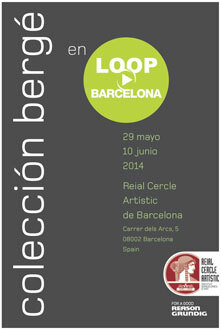 This fold-out was published for the exhibition of videos from the Bergé Collection at the Reial Cercle Artistic in Barcelona during the LOOP festival, held in May and June 2014. Conrado Uribe (LOOP) selected the video pieces and curated the show. The short explanatory texts on each video gave visitors insight into the artists’ creative processes.